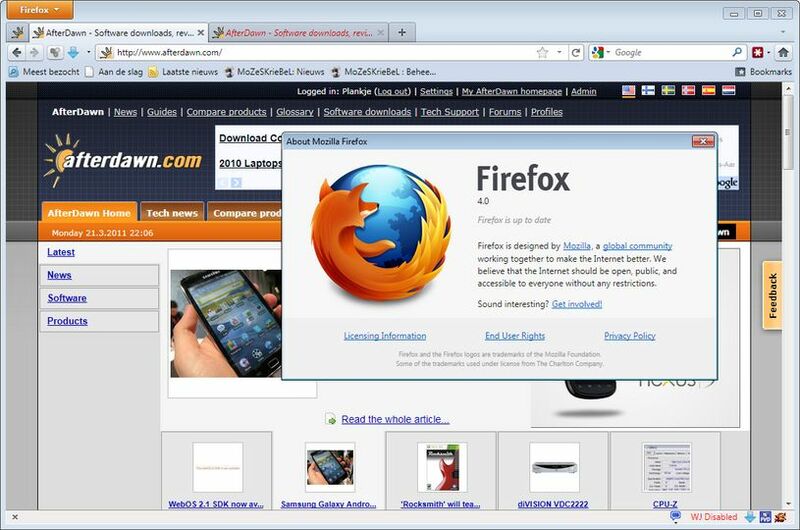 Firefox is Mozilla's next generation open source web browser. 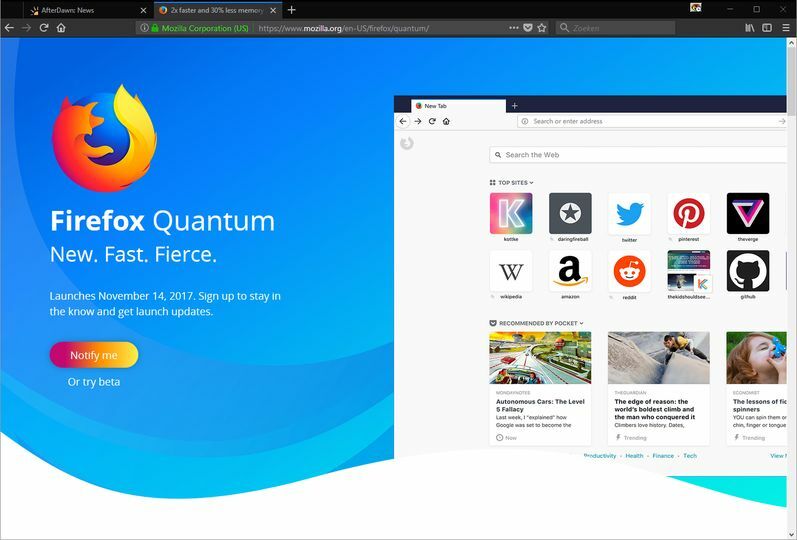 Firefox's features include a popup blocker, tabbed browsing, a smarter search, better security and privacy options, hassle-free download manager and much, much more. Why were the Flash Player problems Not addressed with this release? There are currently 6,200,000 hits on Google for, Flash Player crashes and fixes...This is an Open Source Program is it not? Do not update yet.This update screwed my bookmarks. theres a tracking tab on it!!! Its at beta 5 now a few days ago. Does this have all the missing things Firefox 13 cut out before i was able to stop the missing plugins prompt taking over a page by selecting a box and also the desktop icon is hidden can anybody tell me why? This version was initially meant to be their 64-bit...........not the case anymore. Screw them! I switched to Waterfox. All add-ons work, its running on the same identical code as regular FF and is 64-bit and benchmarked to be 10% faster. have been using 3.6 for a long time and liked it very much. This version 3:6:3 is the best yet. I is faster to load, works well with Vista, and exceptionally well with win7.The add ons work well to.If you are using an earlier version, and your computer hardware and O.S is up to it, then download and use it.I rate it maximum. I have used it since it was released recently, and I had to come back and give my opinion of it. Not memory hungry now, and loads fast, it is a winner. If 4.0 is any better, than 3.6.3, then it will be a really great achievement. I upgrade from the latest Beta Version to 3.6 Firefox. It is a little more stable, but it is getting to be a large program and it does take a little while to load, but it has some good features, however, it automatically downloads some add-ons and has installed them, one I am trying to delete, as it is memory hungry, and when you are net surfing and it decides to down load an app. it slows pages you want to look at.#.5 was better overall, or the latest stable version is quicker. I really like Firefox and it's options. <br/>The bad part is that 3.6 is still slow to load. <br/>The PreLoader Addon doesn't work any longer. <br/>If I need to get to the web quickly then I use <br/>Chrome. Mainly I use FireFox. It's weird it doesn't update automaticly. I've been using 3.0 and never knew there was an update. Unfortunately, I love firefox, but ever since I download this version, firefox crashes frequently, with no pattern and no warning. <br/> <br/>If someone knows the fix, let me know. I tried all the crash fixes I could find, but nothing seems to help. All my add on's work Fine Pages load supper fast it's not even funny Best browser ever period! I have been using Firefox for some time, and I have tried the Beta versions, one of which I had to revert to an earlier stable version, but the last two Beta have been good, This one 3.6 Beta is so good, it seems so stable and I appears to load quicker, and downloads many updates of programs I use so much quicker, I am very happy with it, and I am still using XP, didn't like Vista, so stayed with XP, so I can't comment how Firefox 3.6 Beta is with Vista, or Windows 7. I have been using Firefox for years. I'm very happy with the 3.6 Beta version. Hands down the best web browser for my needs. <br/> <br/> It's not Mozilla's fault some Add-ons stop functioning after updating versions of FF. It's up to the developers of the add-ons to keep the ball rolling. <br/>J. I have had no complaints concerning FF 3.5.2, but also use I.E.8 and Opera, occasionally. Since using FF, I have not experienced virus invasions. I did not have the same experience when I used I.E.6, exclusively. Unless I find a better browser, I plan to stick with FF products. A fine web browser in a tiny package, with the strongest third-party add-on support of its kind. Internet Explorer and even Opera are left in the dust. I use FF 2.0.0.16 and will keep it for a long, long time. <br/> <br/>I tried the Mozilla FF 3.0 when it came out and had to get it off my PC. I had to give up a lot of my favorite add-ons. Mostly the RealPlayer Plus download feature. <br/> <br/>Then scripts messed up. <br/> <br/>Then the Roboform password thing did not respond well. <br/> <br/> The RealPlayer Plus Download feature is a must have for me. <br/> <br/>Sorry it has bugs in it. <br/> <br/> Given time, it will be perfected. <br/> <br/>Till then, I will wait also. I love firefox and this makes it better. Only reason I don't use it normally is that its not compatible with many of the addons that I use. <br/>For those with the script error, go into IE. <br/>Tools > Internet Options > Advanced > and check "Disable Script Debugging (Other)"
Normally I would rate Firefox in the top upper percentile but after having tried both Beta build 3 and 4 and having both crash upon opening for no reason. I would give it a poor rating as of this moment. I'm waiting to see if it improves in the final build which should be coming out shortly. I like it just as much as regular firefox. It even a little faster which is nice. All it needs is the same compatabiltys as the other and its perfect. Way better than the dreaded IE. I applaud the team fixing issues so quick but it seems like I'm receiving updates a little too often.. Kinda makes me wonder if they do much testing. Been using the FOX since ver. 1.0. It rocks, especialy the developer extensions. To far away for DSL, Cable isn't ran by my house, Too many trees for Dish Internet...So I'm stuck with Dial-Up. Switched to Firefox awhile back and wow "I'm Lovin It". Better than IE will <i>ever</i> be. I use a dial up & my windows XP2 internet explorer was slow loading pages, replaced with Firefox V 1.5, wow... what a difference, it loads webpages fast so I'm very pleased. I've used many browsers: IE (old faithful), Opera (my favorite), Netscape (before it got bloated), Smart Explorer (not to smart) and now firefox. Best damn web browser in the market. 1.0 used to crash once every blue moon but it's getting better.I especially love the plugins, blows opera out of the water. Getting better...but still not as good as Opera. I love the variety of extensions...but the browsing isnt as fast nor as stable as Opera. I have been using Firefox since 1.0. This is the best browser on the market and has so many plugins to make life easier. 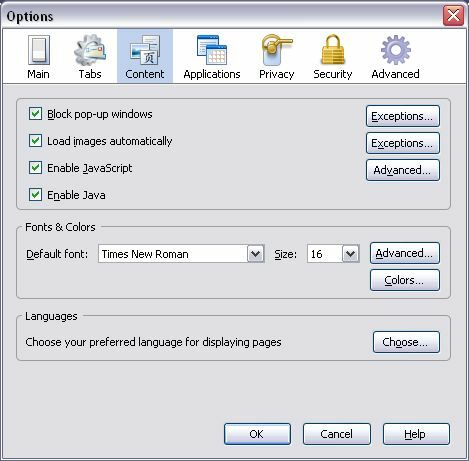 It is so hard to use IE after being spoiled on this piece of software! Simply awesome, although with several tabs opened, stuff like writing to a textarea gets dog slow. But beats IE and Opera hands down.